"You have the power to motivate, encourage and inspire with the words you say." Do you agree with this statement? Do you truly believe you have the power to motivate and inspire others? While most of us dream of wielding more influence with people, only a few of us are willing to do what it takes to expand our sphere of influence. Yet, inspiring, persuasive communication is a learned skill; one that can be improved with deliberate and repeated practice. 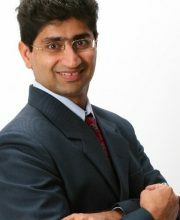 In Emote: Using Emotions to Make Your Message Memorable, Vikas Jhingran shares his approach to motivational speaking. He focuses on identifying “the soul” of the speech or presentation before worrying about the actual content and the mechanics of public speaking. Jhingran also examines numerous speaking techniques that can enhance a speaker’s connection with his audience (things like word choice, use of voice, gestures, movements, props, etc.) although he advises against using techniques that don’t feel authentic to you. In a world powered by technology and the rapid exchange of news, ideas, and content curation, Emote reminds us that people respond to information emotionally and then process it intellectually. If you want your message to stick, you need to alter the way you share it with others. "Most verbal communication, even a speech, is not a monologue but a dialogue. In a speech, even though the words and ideas are going only from speaker to audience, there is always a back and forth of emotions." All communication is an emotional exchange. I believe this is a truism that is easy to overlook. I know I can over-focus on the information element of communication, especially when I’m tasked with producing a report or workshop. And yet, it only takes one misinterpreted email to remind me that content alone does not equal successful communication. People respond to content emotionally. If you don’t provide the emotional context, people will fill-in-the-blanks with their own interpretation. And that usually turns out poorly! Let’s take a closer look at how we might harness emotions more deliberately to strengthen the effectiveness of our communications. "The preparation of the speech begins at the end—with a clear understanding of what the final emotional state of the audience needs to be." Jhingran draws on his experiences writing and delivering speeches as a member of Toastmasters International, and he points out that all communication formats—presentations, conversations, books, songs, movies—involve emotions. Powerful speakers use emotions to enhance memory recall and deliberately guide their audience to a specific emotional outcome—be it excitement about a new product (Steve Jobs’ iPhone launch) or motivation and buy-in to rebel against the status quo (Martin Luther King, Jr.’s “I Have a Dream” speech). Emotions are powerful because they are universal—people all over the world feel similar emotions even though they may use different names to identify them. Did you know that the Utku Inuit have four different words for loneliness? The differences are subtle and so their word choice changes depending on why they are feeling lonely. This is why Jhingran stresses the importance for presenters to carefully consider what emotions they are trying to convey in their presentation. It is easy to settle on the first emotion that comes to mind, for example ‘fear’. However, if we stop and explore the feeling of fear more deeply, we uncover subtle differences that may change our understanding of what we are trying to convey. Feelings like anxiety, concern, or trepidation. Only then can we identify the appropriate words, stories and images we should use to evoke similar feelings in our audience. Of course, to successfully lead people on this emotional journey, you also need to be aware of their mood at the start of the communication event. Effective speakers strive to acknowledge the current mood of their listeners and then slowly shift the emotional context of the audience to achieve their preferred emotional outcome. So the next time you are faced with giving a presentation, or having that difficult conversation with your colleague, think long and hard about how you want people to feel when it is over. Determine their current emotional state. Structure your opening comments to authentically connect with people where they are currently at emotionally and then present your ideas using language and examples that guide your listener to that desired emotional destination. "If the speaker does not feel the passion he is trying to convey, his speech will not adequately convey these emotions." When people ‘walk their talk’, their words, demeanor and actions are aligned. Consequently people trust them; they have credibility. When memorable speakers ‘walk their talk’ they engage with their listeners by personally experiencing the emotions they are asking them to feel. They ensure their words and stories are ones they have a personal connection to, so they can genuinely convey their key messages with authenticity. While it is possible to enhance verbal communications using techniques like speaking with an animated tone, expressive body language and facial expressions, and modulating the speed and pitch of one’s voice, these techniques will appear contrived if they do not align with real, felt emotion. From the famous examples I cited earlier (Steve Jobs and Martin Luther King, Jr.) through to your own experiences listening to speakers at conferences, political rallies and even humble team meetings, engaging presenters are the people who tap into their own emotions to arouse those emotions in their audience. Stop and think about the last few presentations or conversations you have had. How successful were you in engaging your listeners and conveying your key messages? Did you use emotion to your advantage or were you swept away by emotions you thought you had under control? Do you need to connect more deeply with the emotional content of your talk or learn to recognize and dial back your passions so you can achieve your desired outcomes? Emote reminded me about the importance of taking my listeners on an emotional journey to strengthen their connection with the content of my message. And, I learned I need to reflect more deeply on my own emotional connection to my topics if I wish to connect authentically with my listeners. Jhingran has inspired me to rethink how I create my workshops and what I focus on during conversations. To establish an emotional connection first before delivering my content. I did find it a bit challenging to simply read a book about delivering memorable messages as Jhingran’s lessons were being filtered through my current speaking style and experiences. Fortunately, it occurred to me, after I read the book, to do an internet search and I discovered two of his speeches on YouTube! Seeing Jhingran in action really brought the concepts in Emote to life. There is no substitute for experiencing the power of a masterful presenter and learning from their example. Remember…you too have the power to motivate, encourage and inspire with the words you say. Simply put…emote. Start with the heart! Speaker, author and corporate leader at Shell Oil Company with a strong interest in helping people and teams reach their full potential.